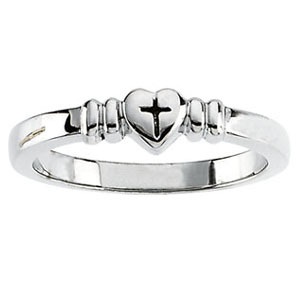 This ladies' heart and cross purity ring is made of polished 14kt white gold. Wear this ring to express your commitment to remain chaste until marriage. Standard fit. Weighs 3.26 grams. Please note: weight is approximate, actual weight may vary.